Mid May on Weiss Lake showed bass in a post spawn period. It continues on into early summer as well. An excellent time for targeting big bass in shallow water. Early summer is also a time for changes. Weiss lake was returned to full pool this past spring season, after being lowered for winter pool, as low as 6 feet below normal full pool levels (Full pool is 564.0), this past winter season. It was unseasonably low this past summer season due to drought. * If interested in Weiss Lake’s current lake level and daily water generation schedules call 1-800-lakes-11 and then press #2 for Coosa River lakes. The rising lake levels this past spring (currently back to full pool) was a welcome sight, especially for boaters that frequent Weiss lake. Many of which were just getting their boats out due to low water dangers keeping them shore bound. Or for some anglers / boaters just getting their boats out of winter storage, spring meant biting fish. In some cases, some wintertime anglers…were just getting their boat out of the fiberglass repair shop. * This is a very dangerous lake for navigating when it is below normal, full pool level. So if another drought occurs this summer be careful when navigating Weiss Lake during this low water period. When Weiss was down (until about late April) something occurred (now hidden underwater) many anglers fail to think about now. Aquatic weeds now seen along the lakes shorelines, began growing in early spring along low lake level banks. When the lake was returned to full pool, it rose several feet covering this now hidden, underwater aquatic weed line. So as summer progresses, not only do the weeds growing along the lakes shoreline grow thick, in a very visible appearance, but so do the hidden underwater weeds, that continue to flourish in the summer sun, often growing far out from the visible weed lines. Also keep in mind, these are deep water weeds, where big, summertime bass lay in wait for unsuspecting prey. Deep weeds are always places where Big Bass are more comfortable and less hindered by passing anglers. * So keep this in mind this summer; Always probe your lures out from the more visible weeds found along Weiss lakes shorelines. The lake’s shorelines are places everybody fishes. As summer progresses the bass you were fooling (when air temps were more tolerable in the spring) on topwater lures, spinnerbaits, crankbaits and loads of lures fished on bottom, will still bite. Only be prepared for less numerous bites on those 90 plus degree days. Bright, bluebird days are always tough conditions for fishing. So to remedy this problem some anglers fish deeper water, or some anglers continue fishing the same places they caught them in this past spring season, where there are still plenty of shallow, summertime bass as well. * There are always some bass shallow and some bass deep. Its just in some seasons, you can find them really bunched up in both shallow and deep water, like during summer. Although Weiss lake’s bass have plenty of food choices on the menu when it comes to eating and dining in the lakes shallow, weedy waters (found lake wide), they do have to rest at times. Often, deep offshore bass (although numbering in the dozens), may not be feeding. But any bass can be made to strike a well presented lure! So if given the choice some anglers will fish deep or some will fish shallow. Others choose night fishing and they do both. Even at night bass are found both in both shallow water and in deep water. 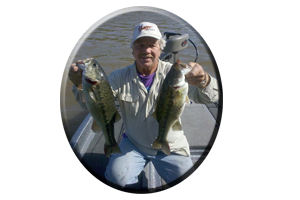 So successful, summertime bass fishing on Weiss Lake can come down to various lure choices for; shallow daytime fishing, deep daytime fishing, shallow nighttime fishing or deep nighttime fishing. Too many choices to list for now. But like most anglers, I like to fish shallow during the summer months, if given a choice. So here’s some of my choices for lures fished in shallow water, this summer season on Weiss Lake. Weiss Lake has miles and miles of aquatic weeds, various types of brush, laydown trees, logs, stumps and other wood cover, and loads of man made rip-rap lined rocky banks, boulders, rock bluffs and rocky, irregular bottom features, including plenty of man made attractions like bridges, culverts, causeways, dams (Weiss has two dams) piers, boat houses and marinas – Weiss lakes bass have no reason to leave shallow water. In and around all this “prey and predator attracting cover” are the many meals these bass dine on. 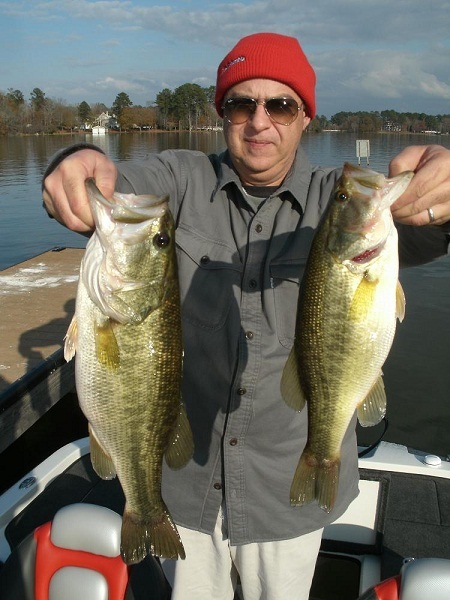 These bass are constantly attacking a variety of meals ranging from top to bottom! So tailoring your lures to imitate or “mimic” these potential meals and get in their face in the strike zone, is what it takes to actually get those big bass bites! Then you have got to land them and get them in the boat! So lets start with small lures. Highly pressured fishing areas, clearer than normal water clarity, or small baitfish in one particular spot, may call for downsizing your lures. Many anglers have solved this problem by finesse fishing with either small lightweight jig heads adorned with various types of plastics, or small Texas-rigged worms, creature baits and lizards, Carolina-rigged worms, or drop-shot rigged worms, all of which work in both shallow and deep water situations on Weiss lake. Tube baits and jig combos, when downsized, often get bites other more gaudy type lures fail to produce. Even very small grubs, small shad imitations, small plastic crayfish and other miniscule plastics can trigger bites during these tough, summertime conditions. Slow sinking plastics like Zoom’s trick worms, Gary Yamamoto’s Senkos and Berkely “Gulp” line of lures can be deadly on slow reacting summertime bass in and around the shallows. By now most anglers know when fishing with small lures comes the use of lighter line, more compact rod and reels or the use of smaller equipment. Getting a hook straightened out or your line broken can be avoided. 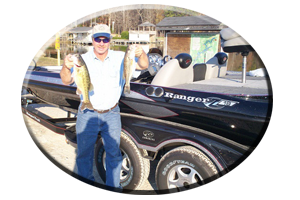 Adjusting your reels drag, using sharp hooks and playing the bass will help tremendously in your landing these huge summertime bass of Weiss lake, when fishing with light tackle outfits. 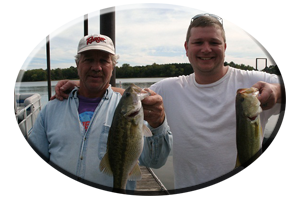 On the other hand, when targeting Weiss lake’s shallow water bass this summer season, bigger can be better. This means bigger lures, stronger line and the use of heavy, rod and reel outfits. Fishing in and around Weiss lakes weeds, wood cover and rock cover calls for the use of such equipment…that is in some situations, if you want to land the bass! Fishing shallow growing aquatic weeds on Weiss lake always calls for the use of weedless lures. As summer progresses so does the weed growth of Weiss lakes many different types of aquatic weeds, getting greener and thicker every week. In and around these weeds are meals of all sizes, shapes and colors. Listing every lure type, name brand, lure color, lure size and lure action needed could be endless. So the basics will do for now. Deciphering Weiss lakes weeds dictates your lure choice. Are they real thick weeds, thin sparse weeds, weeds in patches or real scummy looking weeds? Two lures that go over and through all of these types of weeds are frogs or rat imitations. You can fish them right through the thickest weeds, right in the nastiest, scummiest stuff imaginable. Or they can be made to hop around weeds, along weedy banks, weedy points and patches of weeds or hopped right on top of thick, matted weeds. There are two upturned hooks on most hollow bodied frogs, most are adorned with trailing legs or a skirt. Or you can fish with solid rubber-bodied frogs featuring one big, upturned hook. You can swim them with a slow steady retrieve with some frogs displaying a sound similar to that of a buzzbait. Or you can hop them with short hops, stopping these frogs and rats on cover like Lilly pads or patches of weeds. 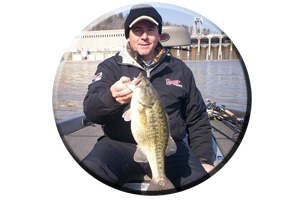 You can actually determine how the bass really want them, on each occasion, by experimenting with various retrieves. Fishing with frogs and rats gets explosive results and these lures are not for the faint hearted. Most anglers react to unexpected blow-ups by jerking back on the rod at the first sound of this explosion, often missing the bass. Others use to light of a line or the in correct rod for horsing these big bass out of thick aquatic weeds, often resulting in lost bass, broken line, broken rods or a broken heart. Like a lot of topwater strikes, after the initial explosion, you must wait until you feel the bass, see the lure disappear or in some cases when your partner says, “set the hook’! Sharpen all hooks, retie your lures often and pay close attention on every cast, when fishing with frog and rat imitations. Other lures for these weed dwelling bass are many. One lure always comes to mind for irritating big bass in and around these aquatic weeds is the buzzbait. You have heard the expression, “it must be something in the water”! Well, when a buzzbait is in the water a bass knows it and it can generate some of the most explosive strikes, when retrieved with a slow steady retrieve along weed lines, through small weedy lanes, weed openings and along weedy points. Always throw your lures past your intended target. This is especially true when fishing buzzbaits around isolated targets such as stumps, brush or trees. Cast them far past small, weed patches and then bring them down both sides and in the weeds. Even retrieve your irritating buzzbaits right down the middle of thin weed patches, several times if possible. The same goes for fishing weedy points, thin weeds and weeds mixed in with rock or wood cover. Never make just one cast to cover with a buzzbait. This is usually what it takes to irritate them into striking, that is if they do not explode on this big bass lure on the first cast. Experimenting with various retrieves, different retrieve angles and a variety of different types of buzzbaits, maybe even trying different sizes of buzzbaits, may be what it takes to generate strikes. Missed strikes can be avoided by attaching a trailer hook to your buzzbaits. Always have a follow up lure ready to cast back to the spot where the bass missed the buzzbait, for missed bass, that refuse to hit the buzzbait a second time. Fishing suggestions for Weiss lakes weeds, wood cover and even rock bluffs could not go without mentioning spinnerbaits. 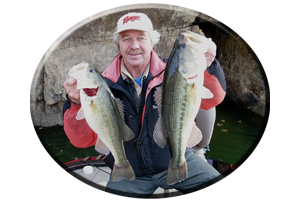 They work in all situations and spinnerbaits fool big bass year round on Weiss lake. Clear water may call for downsizing your spinnerbaits and even the lures trailers. More natural colors on both the skirt and its trailer may fool bass that avoid bigger, more gaudy-type spinnerbaits. Encountering any dirty water or heavily stained water, calls for using bigger spinnerbaits with bigger blades and big trailers.